If you know us, you know that there are several things that we especially love: time with family, good wine, and everything California! Last month we were able to enjoy six days packed full of exactly that :) Before our wedding season kicked off, we snuck away to wine country and soaked up some CA sunshine with Butch's parents, sister Stevi, and her boyfriend Charles. After a few days of winery hopping and lots picnicking, we mixed it up a bit by photographing Stevi & Charles all around West Dry Creek Road and the property where we stayed. Really, does it get any better than a couples session in wine country?! Without a hint of doubt, one of the highlights of our trip was our visit to Storybook Mountain Vineyards. We were given a private tour by one of the five people who runs Storybook, and found ourselves blown away by the intimate feel of this winery! After walking the land, we headed into one of the oldest wine caves for our tasting. WHAT an experience! We couldn't help but ship a few bottles back to WI and can't wait to share them together!! 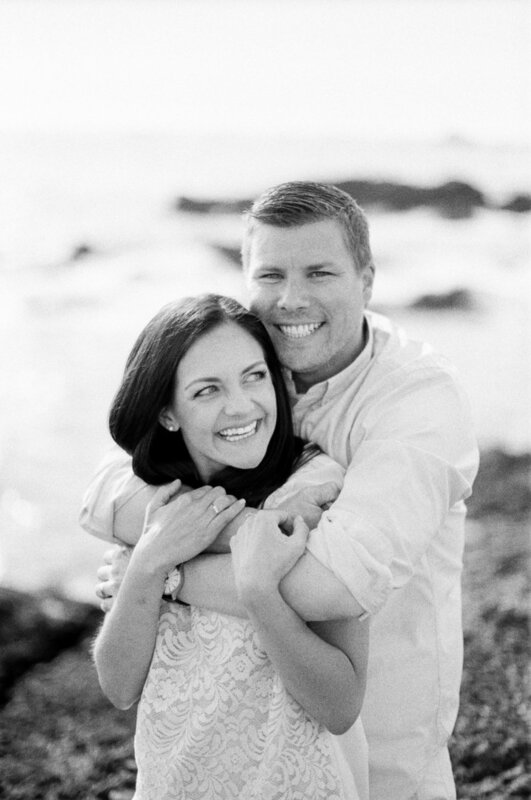 Posted in All Posts, The McCartneys Tags: "california film photographers", "california photographers", "sonoma wine country"
The McCartneys have been a full-time husband & wife wedding photography team for 10 years and have photographed 200+ weddings together. They travel the country for weddings and can frequently be found in Door County, WI.